Wildfires, hurricanes and earthquakes have caused devastation both on our shores and beyond. We stand with those affected and have compiled selected resources to help inform effective giving. 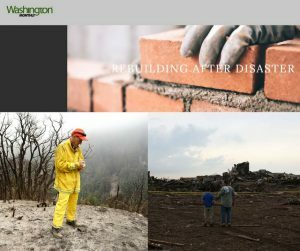 As we know from past local experience with the Soberanes Fire and Big Sur Relief Funds, effective areas of support include relief, recovery and rebuilding. When giving in response to a disaster, its important to keep in mind there are several ways to provide assistance. Money Monetary donations are preferred over material items, which can often go to waste and create difficulties for recovery groups. Look for trusted organizations, like community foundations worldwide, in the affected area, who know the landscape of local nonprofits. Give to organizations with a proven track record and Investigate those you are unfamiliar with to avoid scams. You can visit sites like www.guidestar.org for information. Time Research the websites of local organizations who have experience in the area to see where help may be needed most, as needs may change over time. The Monterey Firefighters Association has activated their Monterey Fireman’s Charitable Association Fund of the Community Foundation for Monterey County: www.cfmco.org/mfcaf to receive monetary donations. Fire stations in Monterey , Pacific Grove and Carmel by-the-Sea will be collecting gift cards through Dec. 3, 2018 to distribute through their network of responders to those in need. North Valley Community Foundation Camp Fire Relief Fund to assist the many community organizations serving evacuees and first responders. United Way of Northern California is providing emergency cash grants to those who lost their homes; assisting non-profit partners in their provision of direct services to survivors, and providing help for survivors. To donate text BUTTEFIRE to 91999 or visit the nonprofit’s website. United Way of Greater Los Angeles, in partnership with United Way of Ventura County, has created the Disaster Relief Fund or text UWVC to 41444 or visit https://app.mobilecause.com/f/23ef/n?vid=4n8t to donate to Ventura County only. Red Cross Disaster Relief This is a general fund to help people affected by disasters like the California Wildfires. Visit redcross.org, call 1-800 RED CROSS or text the word REDCROSS to 90999 to make a $10 donation. Ventura County Community Foundation Ventura County Sudden and Urgent Needs Fund (SUN) provides short-term relief for those in urgent need and the Community Disaster Relief Fund will provide mid to long-term assistance. California Community Foundation has links to give, resources, and information about the December 2017 fires in Ventura and Los Angeles Counties. Their Wildfire Relief Fund, which opened in 2003 and has granted $3.5 million, is mobilized and accepting donations. Central Carolina Community Foundation One SC Fund — The One SC Fund was established by former Governor Nikki Haley after the 2015 Thousand Year Flood to help South Carolinians who are recovering from state-declared emergencies. 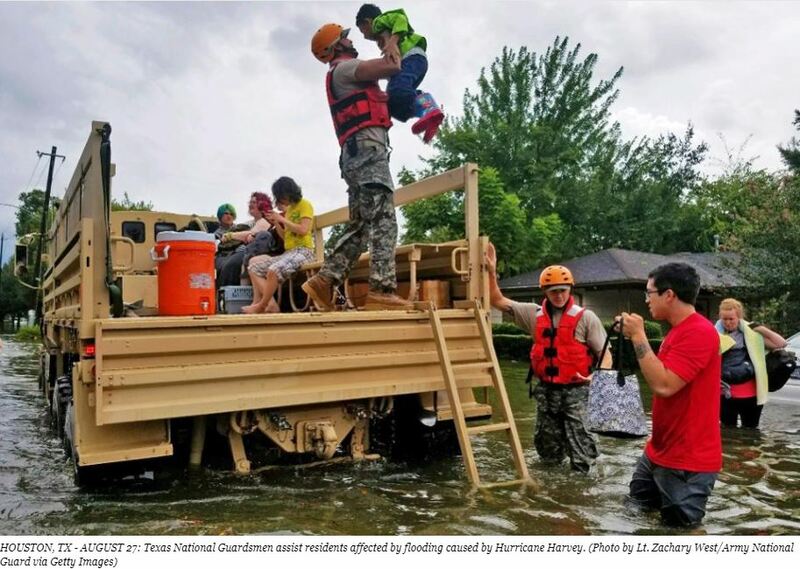 The fund provides grants to nonprofits that are providing relief, recovery, and/or rebuilding assistance to affected individuals and families. 100 percent of monies donated will go directly to help Hurricane Florence relief efforts. North Carolina Community Foundation Disaster Relief Fund — The North Carolina Community Foundation this week reactivated its Disaster Relief Fund to help North Carolinians affected by Hurricane Florence. All funds raised for the NCCF Disaster Relief Fund will go directly to nonprofit organizations serving the needs of local individuals and communities in the impacted areas of North Carolina. If you have a donor advised fund with the Community Foundation for Monterey County, you can direct a grant to any qualified 501(c)3 nonprofit. You can log on to Donor Central, call 831.375.9712 or email our Philanthropic Services staff with any questions. In a 2017 Washington Monthly article, Community Foundation for Monterey County CEO Dan Baldwin teamed up with colleagues from the Oklahoma City Community Foundation and Arizona Community Foundation to dive into how their organizations responded to disasters, ensuring confidence in relief and recovery grantmaking through the unique abilities of community foundations.